Through my work I explore the inherent beauty in different manifestations of strength. I find inspiration in natural forms and underlying processes through which this property emerges and becomes intrinsic. Plexus was my first jewellery collection, I embarked on it having no previous experience in jewellery making (apart from an industrious enterprise I had making & selling beaded earrings in school as a six year old) and having no training as a goldsmith. At the time of its inception I had a degree in ceramic design and was managing a luxury fashion brand. I bought a book on anatomy in an attempt to sharpen my drawing skills and get my creativity flowing again. As I sketched the various bones and body parts I started to become increasingly interested in the muscles. They commanded a powerful tension as they stretched and this was something that I wanted to explore further. 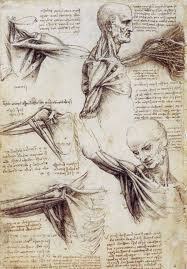 I began researching more images of the muscles and came across Leonardo Da Vinci’s stunningly detailed sketches. He meticulously observed his subject and so elegantly transcribes what he saw. I wanted to re-create the power and tension that captured my attention. I made collages of his drawings, sketching around areas of interest and creating a network of ovoid shapes within a single form. From there it was time to bring them to life in 3D. My material of choice was porcelain. Its properties would lend themselves nicely to creating fluid, bio-morphic shapes. I made many samples scaling them up and down, in order to achieve the result I was after while maintaining its structural integrity. The piece below best illustrates my vision. After some fine sanding it came up in a beautiful even matte finish. I was pleased with the result but I wanted to be able to wear it. 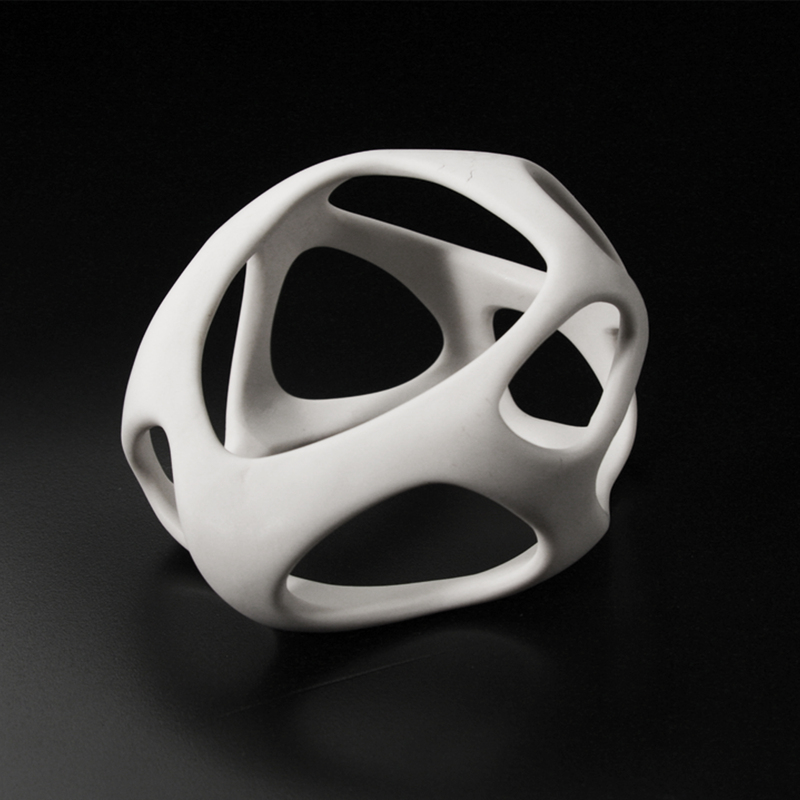 Porcelain, in this design, was too fragile for the task. I had been interested in jewellery design for some time and was captivated by a gorgeous little jewellery boutique I had come across in Barcelona. I was time to do a short course in wax sculpting for jewellery. To my delight many of my ceramic modelling techniques translated nicely to wax sculpting and I was able to produce pieces relatively quickly. Below is my first Plexus Pendant made on the course. The rest of the Plexus Collection evolved quite a while later, after completing an intensive technical skills course and apprenticeship. 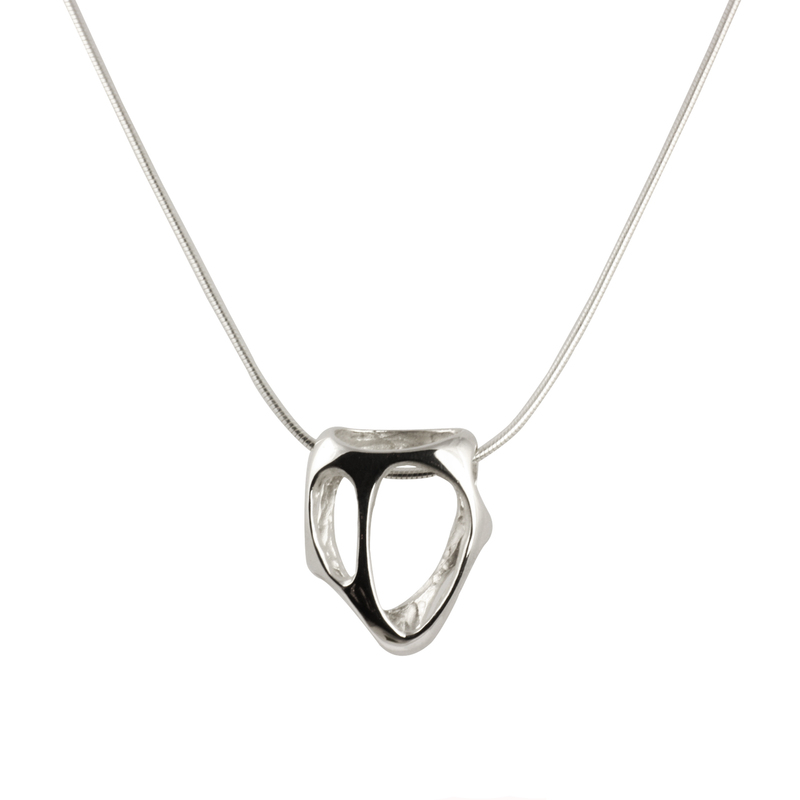 However, to this day my Plexus Pendant is still one of my most popular and favourite pieces of jewellery.